I argue that regime supporters are more likely to evince a duty to vote. Using a previously validated measure of the duty to vote, I find evidence in Russia consistent with these arguments. The findings suggest that authoritarian incumbents have an inherent mobilizational advantage: their supporters feel a duty to vote, but opponents of the regime do not. 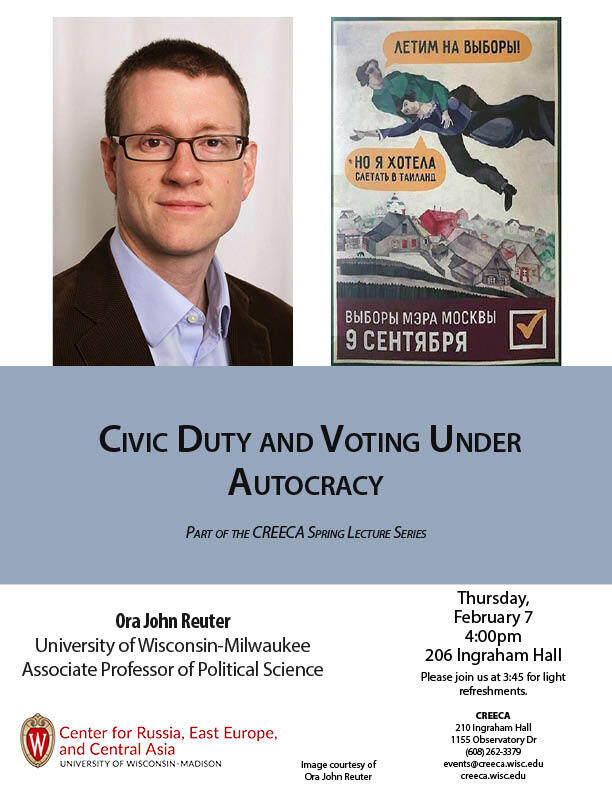 Ora John Reuter is Associate Professor of Political Science at the University of Wisconsin-Milwaukee and Senior Researcher at the Higher School of Economics in Moscow. His research focuses on Russian politics and the politics of authoritarian rule. He is the author of the recently released book, The Origins of Dominant Parties: Building Authoritarian Institutions in Post-Soviet Russia (Cambridge UP, 2017).